Solar Panels are a clean, reliable technology and our high quality systems are built to last. Like most other appliances and equipment, however, regular maintenance will ensure that your system is functioning in the most efficient manner possible and our engineers will be able to spot any problems before they affect your use of the equipment. Systems which are properly maintained have been shown to run up to 30% more efficiently than systems which have not received regular checks and this of course means more money saved for you. During one of our test and inspection visits we will ensure that your system is running at 100% efficiency and should any problems be found we will fix or replace faulty parts as quickly as possible to ensure the minimum disruption to your home or business. 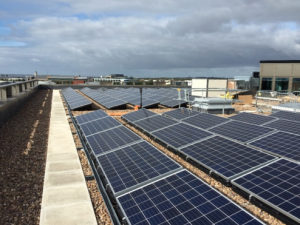 However we have found that many of the UK’s solar panel installations on residential and commercial buildings can have higher than expected seasonal maintenance costs due to nuisance birds. 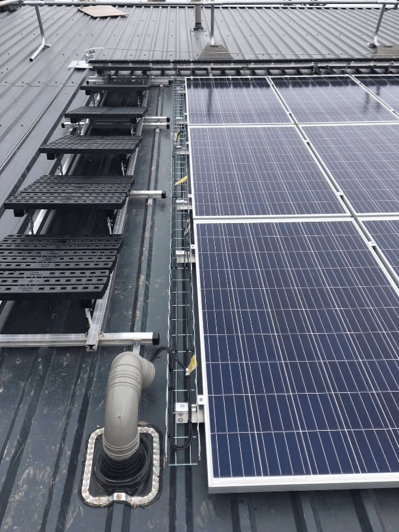 There are a number of bird proofing methods, the most effective being the installation of specially designed solar panelling mesh proofing product combined with bird “spikes” attached to your ridge tiles. The solar proofing mesh provides protection from every type of pest birds. The bird spikes discourage roosting birds and reduce the chance of dislodged ridge tiles. The test and inspection package will provide you with an annual documented condition inspection and full system maintenance, we will also advise you on whether or not you need an annual panel clean (to improve the functioning of your system). The package also means that any faulty parts will be replaced in a timely manner with as little disruption as possible and of course our expert engineers will be on hand to assist you with any queries you may have.